Item 2.02Results of Operation and Financial Condition. On January 8, 2019, Helen of Troy Limited (the “Company”, “our”, “we” or “us”) issued a press release announcing the results for thethird quarter of fiscal 2019. Additionally, onJanuary 8, 2019, we held a conference call discussing our results for the same periods mentioned above. With this Form8‑K, we are furnishing copies of thepress release (attached hereto as Exhibit99.1) and the text of the conference call (attached hereto as Exhibit99.2). The press release and copy of the text of this conference call are also provided on the Investor Relations Pageof our website at: http://www.helenoftroy.com. The information contained on this website is not included as a part of, or incorporated by reference into, this report. The Company desires to avail itself of the safe harbor provisions of the Private Securities Litigation Reform Act of 1995 (the “Act”) and is including this cautionary statement for the express purpose of availing itself of the protection afforded by the Act. The accompanying press release and conference call transcript contain certain forward-looking statements, which are subject to change. Any or all of the forward-looking statements may turn out to be wrong. They can be affected by inaccurate assumptions or by known or unknown risks and uncertainties. Many of these factors will be important in determining the Company’s actual future results. Consequently, no forward-looking statement can be guaranteed. Actual future results may vary materially from those expressed or implied in any forward-looking statements. The forward-looking statements are qualified in their entirety by a number of risks that could cause actual results to differ materially from historical or anticipated results. Generally, the words “anticipates”, “believes”, “expects”, “plans”, “may”, “will”, “should”, “seeks”, “estimates”, “project”, “predict”, “potential”, “continue”, “intends”, and other similar words identify forward-looking statements. We caution readers not to place undue reliance on forward-looking statements. 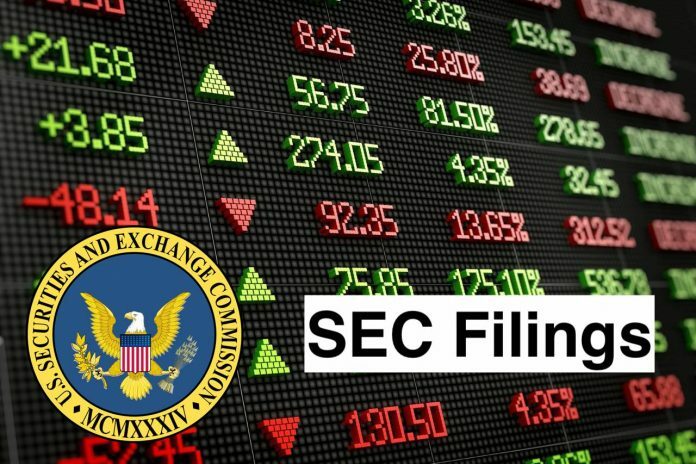 The forward-looking statements contained in this press release should be read in conjunction with, and are subject to and qualified by, the risks described in the Company’s Form10‑K for theyear ended February28, 2018 and in our other filings with the SEC.Investors are urged to refer to the risk factors referred to above for a description of these risks. Such risks include, among others, our ability to deliver products to our customers in a timely manner and according to their fulfillment standards, the costs of complying with the business demands and requirements of large sophisticated customers, our relationships with key customers and licensors, our dependence on the strength of retail economies and vulnerabilities to any prolonged economic downturn, our dependence on sales to several large customers and the risks associated with any loss or substantial decline in sales to top customers, expectations regarding any proposed restructurings, our recent and future acquisitions or divestitures, including our ability to realize anticipated cost savings, synergies and other benefits along with our ability to effectively integrate acquired businesses or separate divested businesses, circumstances which may contribute to future impairment of goodwill, intangible or other long-lived assets, the retention and recruitment of key personnel, foreign currency exchange rate fluctuations, disruptions in U.S., U.K., Eurozone, and other international credit markets, risks associated with weather conditions, the duration and severity of the cold and flu season and other related factors, our dependence on foreign sources of supply and foreign manufacturing, and associated operational risks including, but not limited to, long lead times, consistent local labor availability and capacity, and timely availability of sufficient shipping carrier capacity, labor and energy on cost of goods sold and certain operating expenses, the geographic concentration and peak season capacity of certain U.S. distribution facilities increases our exposure to significant shipping disruptions and added shipping and storage costs, our projections of product demand, sales and net income are highly subjective in nature and future sales and net income could vary in a material amount from such projections, the risks associated with the use of trademarks licensed from and to third parties, our ability to develop and introduce a continuing stream of new products to meet changing consumer preferences, trade barriers, exchange controls, expropriations, and other risks associated with U.S. and foreign operations, the risks associated with significant tariffs or other restrictions on imports from China or any retaliatory trade measures taken by China, the risks to our liquidity as a result of changes to capital market conditions and other constraints or events that impose constraints on our cash resources and ability to operate our business, the costs, complexity and challenges of upgrading and managing our global information systems, the risks associated with information security breaches, the risks associated with product recalls, product liability, other claims, and related litigation against us, the risks associated with accounting for tax positions, tax audits and related disputes with taxing authorities, the risks of potential changes in laws in the U.S. or abroad, including tax laws, regulations or treaties, employment and health insurance laws and regulations, and laws relating to environmental policy, personal data, financial regulation, transportation policy and infrastructure policy along with the costs and complexities of compliance with such laws, and our ability to continue to avoid classification as a controlled foreign corporation. We undertake no obligation to publicly update or revise any forward-looking statements as a result of new information, future events or otherwise. release contains tables that reconcile these measures to their corresponding GAAP based measures presented in the Company’s Consolidated Statements of Income. The material limitation associated with the use of the non-GAAP financial measures is that the non-GAAP measures do not reflect the full economic impact of the Company’s activities. These non-GAAP measures are not prepared in accordance with GAAP, are not an alternative to GAAP financial information, and may be calculated differently than non-GAAP financial information disclosed by other companies. Accordingly, undue reliance should not be placed on non-GAAP information. The information in this Item 2.02 of this Form8‑K and Exhibits99.1 and 99.2 attached hereto shall not be deemed “filed” for purposes of Section18 of the Securities Exchange Act of 1934, nor shall it be deemed incorporated by reference in any filing under the Securities Act of 1933 or any proxy statement or report or other document we may file with the SEC, regardless of any general incorporation language in any such filing, except as shall be expressly set forth by specific reference in such filing. Item 2.02Financial Statements and Exhibits. Helen Of Troy Limited is a global consumer products company that offers a range of solutions for its customers through a range of brands. The Company is a global designer, developer, importer, marketer and distributor of a portfolio of brand-name consumer products. The Company has four segments. The Housewares segment provides a range of consumer products for the home. The Health & Home segment focuses on healthcare devices, such as thermometers, humidifiers, blood pressure monitors and heating pads; water filtration systems, and small home appliances, such as portable heaters, fans, air purifiers, and insect control devices. The Nutritional Supplements segment is a provider of branded vitamins, minerals and supplements, as well as other health products. The Beauty segment’s products include electric hair care, beauty care and wellness appliances; grooming tools and accessories, and liquid-, solid- and powder-based personal care and grooming products.